Lucifer Photos from "The Good, the Bad and the Crispy"
Can you believe it's already the season finale? When we last saw Charlotte, she charbroiled a man after he stabbed her. It wasn't on purpose, but if she's capable of doing that, what else can she do? 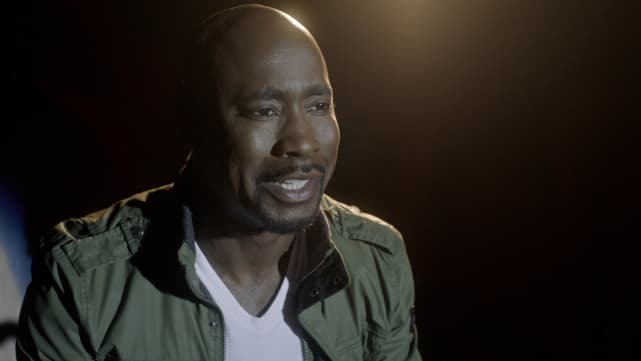 She and Amenadiel have disappeared, but no one knows where? Will Lucifer find them? It looks like he's got The Flaming Sword so they couldn't have gone to heaven without him. What we're most curious about though is what is going on with Dr. Linda? There are not many pictures to help us out, but all we can say is she better not be going anywhere!! 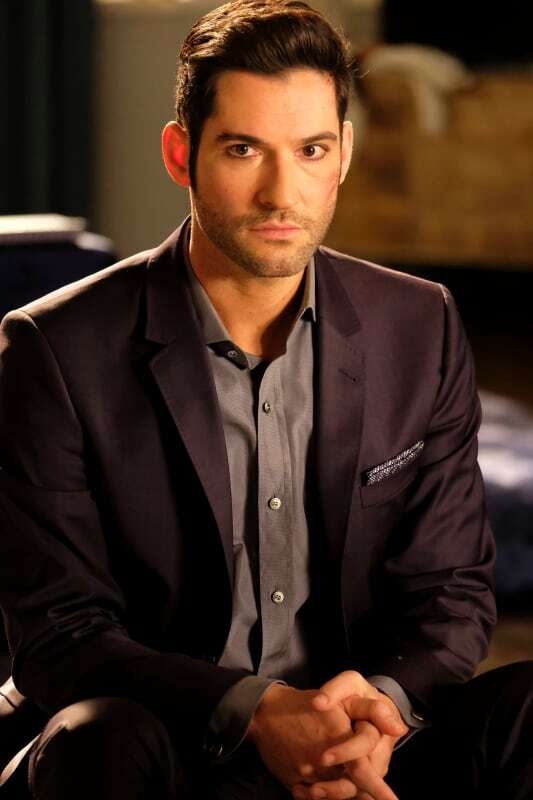 Check out the photos from Lucifer Season 2 Episode 18 and speculate away! The season finale of Lucifer airs on Monday, May 29 at 9/8c on FOX! Now we know that Trixie can do anything. 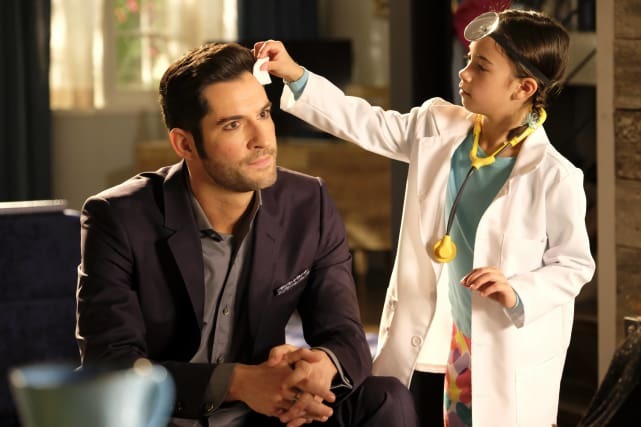 Lucifer looks like he's got a boo-boo on his head and who better to fix him up than Dr. Trixie? 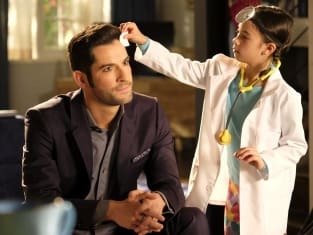 What could be wrong with Lucifer that he's getting checked out by Dr. Trixie? Maybe the stress of having his mom on earth is too much for him? It looks like Maze is having some issues too. Does she have the mumps or just some kind of head injury? At least we know received the best care from Dr. Trixie.